Few studies have investigated the effect of environment on the root-associated microbiome, especially for woody plants in their native environment. The roots and rhizosphere soils of a native woody species (Broussonetia papyrifera) sampled across four different climate types in China were used to elucidate the influence of environment on the root-associated microbiome. Our results showed that the B. papyrifera root-associated microbiome contained abundant Proteobacteria and Basidiomycota, especially Pseudomonas and Rhizobium. The root-associated microbiomes were found to be significantly different under different climate types except for the bacterial community in the rhizosphere, and the proportion of bacterial operational taxonomic units (OTUs) shared among different climate types was lower than that of fungi. More than 50% of the total variance between microbiomes could be explained by 15 environmental factors, six of which, especially soil concentration phosphate and nitrate, had a significant effect. 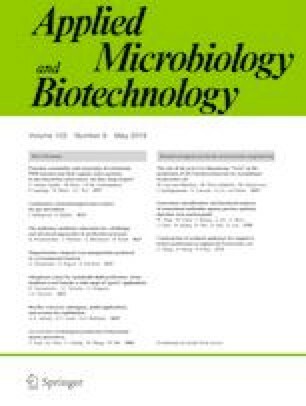 This study provided a comprehensive understanding of the root-associated microbiome of B. papyrifera and further confirmed the effect of environment on the root-associated microbiome of B. papyrifera under different climate types, with some exceptions in the rhizobacterial community and fungal OTUs. Our findings advanced knowledge of the effect of environment through an exploration of environmental factors and found that the nitrogen and phosphorus content represented the key factors. The online version of this article ( https://doi.org/10.1007/s00253-019-09747-6) contains supplementary material, which is available to authorized users. This work was supported by the National Natural Science Foundation of China (31770360, 31870247), the Poverty Relief Project of the Chinese Academy of Sciences (KFJ-FP-24), and the Huimin Technology Demonstration Project of the National Modern Agricultural Science and Technology Achievements City (Z151100001015008).